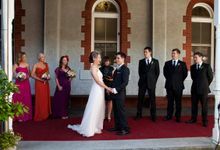 2celebrants Melbourne are a celebrant team offering a unique service to Melbourne based clients. We delight in creating a warm and personal ceremony; as we love to celebrate love, life and new beginnings. Our desire is to create with you an amazing ceremony that will continue to bring smiles to your faces long after your wedding day. A mother/daughter team, we will delegate wedding enquiries based on availability/suitability and one of us will work with you to ensure your day is incredible.